It’s no secret that social media engagement and content marketing has changed the way that companies market and sell their products and the way that consumers make decisions on what they want to buy. 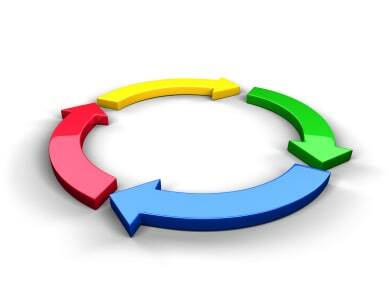 More specifically, when used correctly, these aspects of marketing can shorten the sales cycle. That’s because by the time that a potential customer visits your business (online or physical), they’ve already Googled you, asked their friends on social media about you, and perhaps read up on your blog for more information. Social media monitoring and responsiveness and useful blog content are clear ways to capitalize on this customer behavior. But when it comes to the blogging component, there are tools that can improve this process and make the content you put out there that much more useful to your prospects. Here are 3 tools you should include as part of your blog in order to shorten your sales cycle. First and foremost, learn what content your prospects are looking for by identifying the content they are already engaging with in your analytics. 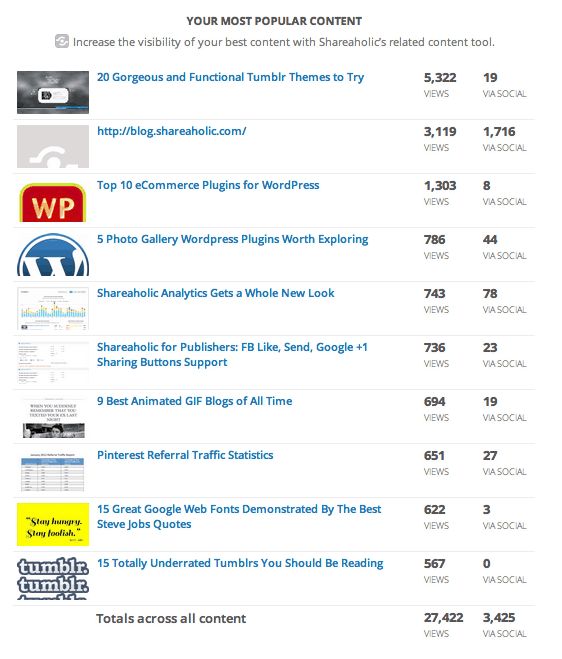 With Shareaholic Analytics, you’ll get a Top Content report that offers a breakdown of your top performing blog posts. Use your top content report to identify your content sweetspot – what you should be writing to engage your prospects. The second report that will show you the kinds of content your prospects may be interested in is your Top Sharers report, which shows your blog readers that drive the most traffic to your posts through their shares. First, this report gives links to your top sharers’s Twitter and (if publicly available) Facebook profiles, enabling you to connect directly with them and learn more about them. 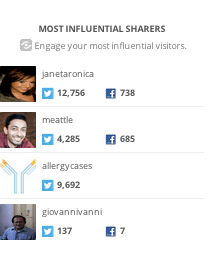 (Example – are they talking to or mentioning a competitor on Twitter? You can this out if you have the necessary link to their profile.) The second aspect of this report that you should pay attention to are the links to your top sharers’ Shareaholic.com profiles. This is where you’ll be able to learn more about the type of content they like. For example, here’s the link to my profile, where you’ll see the content I’ve most recently shared. It’s additional intelligence into the kind of content that type of person wants to read and share, plus you’ll have insight on competitor content they may be checking out as well. All in all, you’ll be much more informed about the kind of person you are targeting with your content with these kinds of reports. Last month, 32% of the traffic to our publishers’ website was sent by referral traffic. That’s up from about 27% the month before. That means that more and more visitors are coming to your blog through social shares and social media in general, meaning that the link they follow from Twitter may be the first they have ever heard of you. Capture their interest by delivering that potential customer more content within each blog article with a related content tool. Shareaholic’s related content tool taps into social sharing, pageviews and content contextual signals to suggest the most relevant content at the bottom of each post you publish. A tool like this will make the most of all the new visitors that come to your blog through referral traffic. Acquiring a blog visitor is merely the start – you want to convert that visitor to become a prospect, and eventually a customer. Calls to action, strategic use of your sidebar, in-linking to key landing pages, and comment forms are just a few of the ways you can grow your email from your blog. The folks at WP-Beginner have a fantastic post on different ways you can achieve lead generation through your blog, along with some recommended plugins for WordPress users. Plus, they practice what they preach with what I as a reader have to say is a delightful and efficient process for acquiring email addresses from comments on their blog. What is nice about this is the reader can sign in with Twitter or Facebook, or give his or her email address. 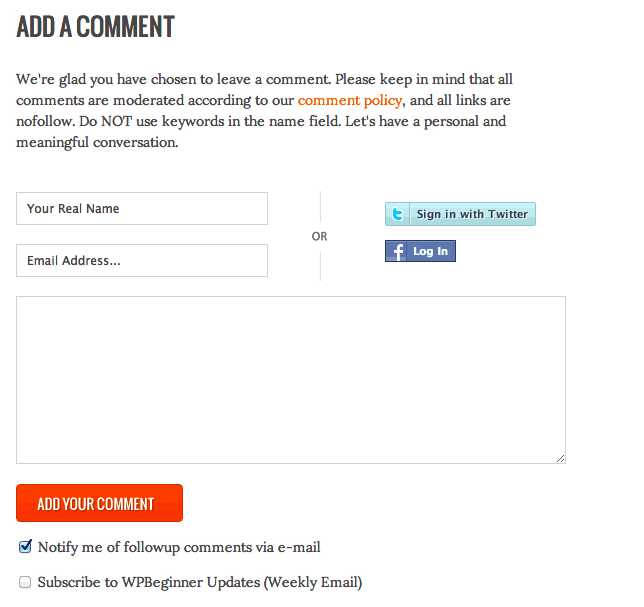 Then, they can opt in to followup comments or a newsletter, all without having to fill in more than one form. To achieve this, they use the standard WordPress commenting system plus the Simple Twitter Connect and Simple Facebook Connect plugins. 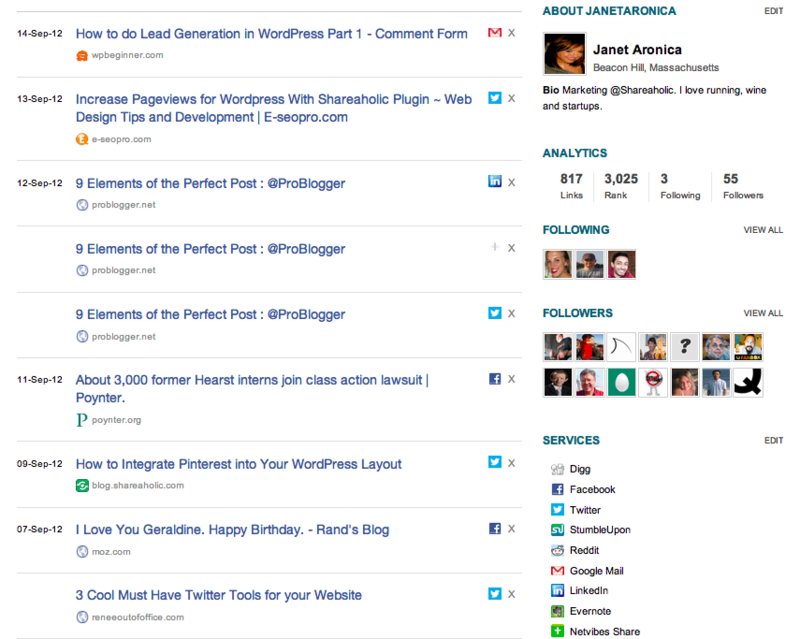 WordPress blog or not, achieving a flow like this is something to work towards. That social media engagement and content marketing can shorten the sales cycle isn’t news, and chances are you’re experiencing the benefits of this already through more educated prospects coming through your door. But with a few additional tools and features, you can make even more of the work you’re already doing and truly drive an impact on your sales cycle. What tools are you using to educate and engage your prospects? Let us know in the comments! 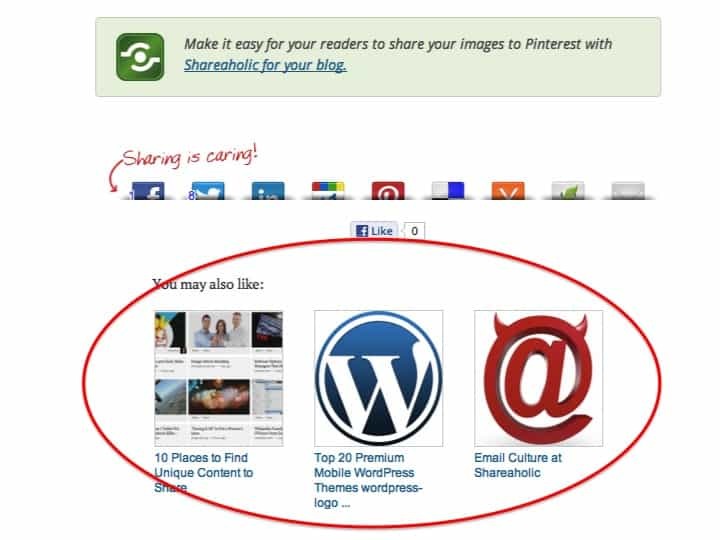 Engage your prospects with content – get Shareaholic Recommendations for your blog.